Upon completion of the registration form, the Company Card is linked to authorized persons within your company and is not permitted for personal use. When you or your authorized employees enjoy themselves at one of our properties, the expenses are added to your account within our system. Invoices are emailed weekly to the account indicated in the registration form. Each invoice summarizes your company’s expenses from the previous week at the venues where the company carries a balance. Purchase Order numbers can be added upon request. Mess Holding’s existing invoicing standards apply. We reserve the right to place credit limits on accounts as we see fit. Once this credit limit is reached, you will be required to pay off part of the balance before further purchases can be made. Credit limit increases may be granted on a case-by-case basis. If an invoice balance is carried longer than 30 days, the account will be blocked until the payment is resolved. After 45 days, there will be a penalty fee of 10% of the total bill added to the invoice, plus a legal interest rate of 8%. Additional discounts and rewards are granted at the discretion of Mess Holding. Mess Holding reserves the right to suspend services or terminate any Company Card holder account that does not comply with the terms and conditions. Mess believes Rotterdam is a vibrant, international hub. With our three venues located in the heart of the business area– Biergarten, Ayla, The Suicide Club – we want to contribute to Rotterdam as a cosmopolitan city. ‍To do so we work with passionate chefs, innovative artists and local designers. You’ll be able to recognize their passion and talent in many of the hand made elements in the interiors, the personal stories behind the menu and the diverse crowd that visits our venues. ‍We take pleasure and pride in paying attention to details. You’ll find that we are passionate about traditional dishes in a contemporary setting, progressive music programming and lustrous style elements. 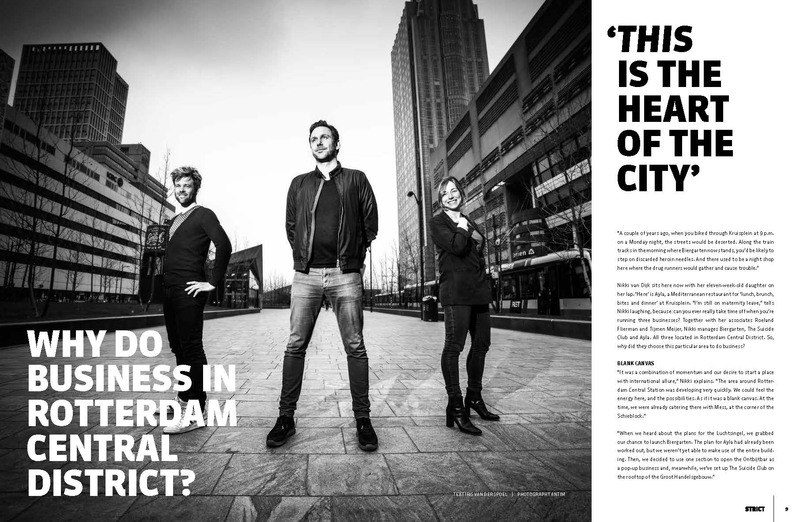 Mess Group are pioneers in the development of the Rotterdam Central District as the thriving center of Rotterdam; where businesses start, grow and excel. We welcome you for who you are and invite you to drink, dine and celebrate at our table. We offer a variety of options to create a unique experience that fits your needs. Drop us a line at business@makeamess.nl and let us know what we can do for you. With our menu, we always encourage you to share with your companions. From 7 December through 7 January, we invite you to feast for the holidays at The Suicide Club. Our head chef Freek Dekker has curated four menus that satisfy the holiday cravings with a signature Suicide twist, including a vegetarian option. Each dish will be more decadent than the last, culminating with a Christmas duck platter with all the (un)usual trimmings. Celebrate the holidays with The Suicide Club family. 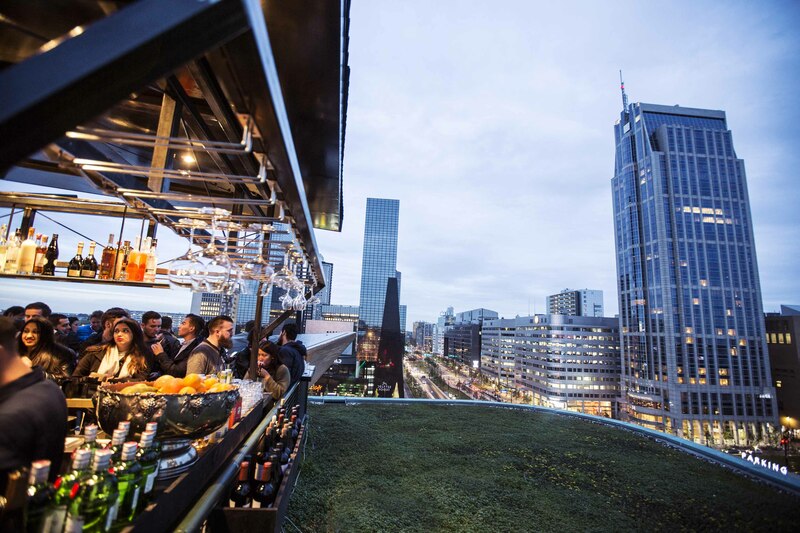 Drift above Rotterdam on The Suicide Club’s sunny rooftop terrace. This dream breathes like a bustling marketplace with a variety of live performance, funky DJ’s to live painting to vintage markets. The best selection of deep-house, disco, soul, afrobeat make you feel like you could be anywhere in the world, but the beautiful, diverse crowd reminds you there’s only one city this high. Back from our short but needed winter-intermission, Biergarten Rotterdam will open again on April 5th for another long and sunny summer, because the Sun will always Mark the Spot. Live and direct from the dubby sounds of improv. WLDRF will deliver a special live perfomance to compliment the Grandness. Of course, our very own Biergarten Soundsystem will supply you with fresh tunes to chuck away that ice-cold beer. MeSoJorny, Roop, Mr. Nice Guy, Dagger DX, Heaz & Plenty Vyenty will bring the heat. We were featured in Strict Magazine talking about an international attitude, seizing momentum and being a pioneer.